Today marks 99 years since Sydney Airport’s first commercial flight and kicks off the official countdown to its Centenary celebrations. 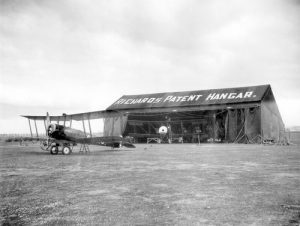 As one of the world’s oldest continually operating airports, Sydney Airport’s Centenary on 9 November 2019 will represent a landmark not only for the local community and broader Sydney, but also for aviation history. Sydney Airport was founded in 1919 by pilot and aviation pioneer Nigel Love. His son, John Love, said the Love family was very proud to be part of next year’s Centenary celebrations. 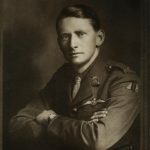 “My father, a returned WW1 pilot/officer from the Western Front personally selected and established the aerodrome on a bullock paddock in Mascot,” he said. “Dad piloted the airport’s first passenger flight. He was also the first of many trailblazers and innovators associated with Sydney Airport. Since its humble beginnings in 1919, Sydney Airport has grown significantly to now handle over 43 million passengers annually, serving over 100 destinations with an on-airport community of more than 30,000 people. Sydney Airport CEO Geoff Culbert said the Centenary would be a celebration of the many people who have contributed to Sydney Airport’s growth and evolution throughout its rich history, as well as an opportunity to look forward to what the future of travel holds for our global travellers. “Our Centenary is a time we can acknowledge our key milestones and celebrate our people and our community through the many rich and diverse stories from the last 100 years,” he said. “We’ve been part of the fabric of Sydney for a long time. The history of the airport is so closely linked to the history of the city. “We’ve both contributed to and witnessed the staggering evolution of air travel since Nigel Love’s first flight, along with the resulting growth and transformation of Sydney. Our Centenary will acknowledge and applaud the many generations who’ve contributed to Sydney’s Airport.